A gentle cleansing oil for theface and eye area, Dior Instant Gentle Cleansing Oil preserves the skin’s natural hydration for outstanding cleansing results and is suitable for all skin types. Even though it’s an oil, it leaves no greasy residue. Formulated with Pure Lily Extract, which is present in Dior’s Instant Cleansing Water, it helps inhibit skin inflammation, leaving the skin looking soft and supple. 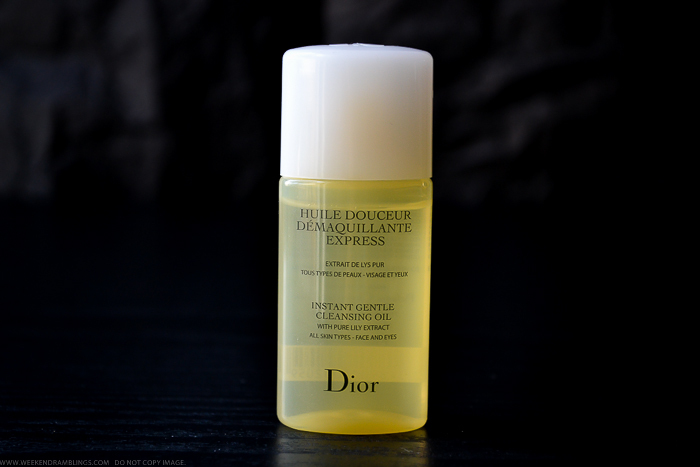 This is another generous-sized sample/GWP from Sephora, and the packaging is definitely not like the original - regular sizes of the Dior Instant Gentle Cleansing Oil come with a pump. I amn't sure what else is different about the bottle. 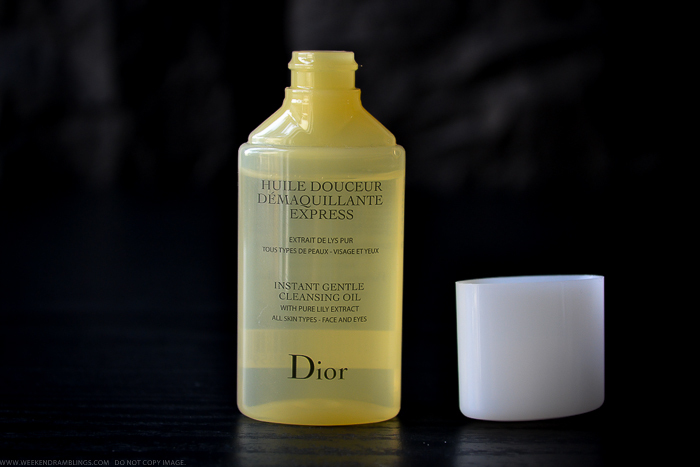 On to the cleanser itself, I was never a huge fan of cleansing oils until I tried the DHC Cleansing Oil, which changed my attitude towards these and definitely set a pretty high standard for a cleansing oil. 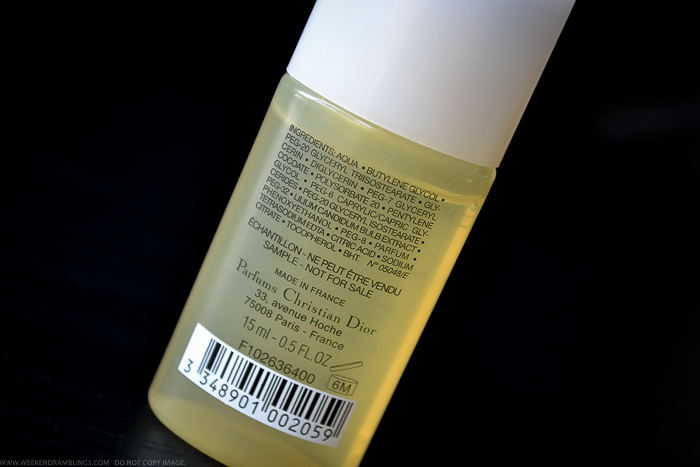 The Dior Cleansing Oil is the second cleansing oil I am trying, and I must say I have been on a lucky streak so far because this one is just as amazing! The cleansing oil is light and has a floral scent to it. To use, dispense some to your hands and massage on to dry face including over the eyes (avoid getting into the eyes, though). Once you have massaged the product into the skin, wet your hands and massage skin again to emulsify the oil a bit and wash off with water. This sounds amazing. I don't know whether they sell it in India. I love the Clarins and YSL cleansing oil gels a lot.